This photograph is a model of the more commonly held image of black education in the era of Emancipation and Reconstruction. 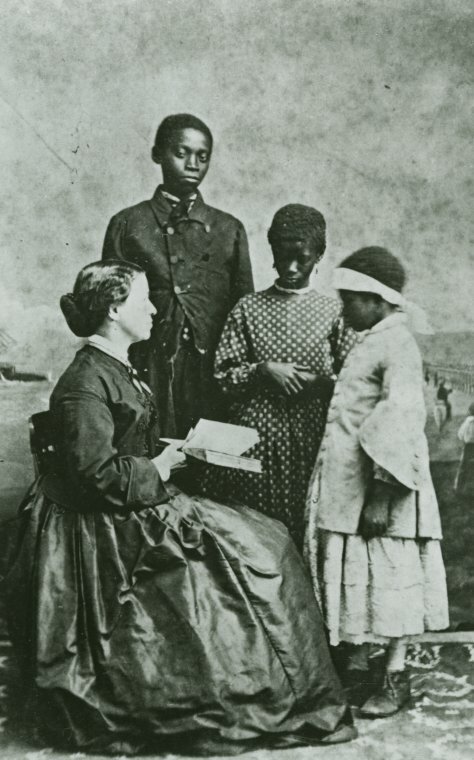 Taken shortly after the end of the Civil War, the image suggests the leadership of white women and the participation of black children in educational pursuits. Recent scholarship has emphasized the contributions of black teachers (women and men), black soldiers, and black parents in supporting and leading the cause of black education.